When your project calls for angle iron, Eagle National Steel is the place to find it. 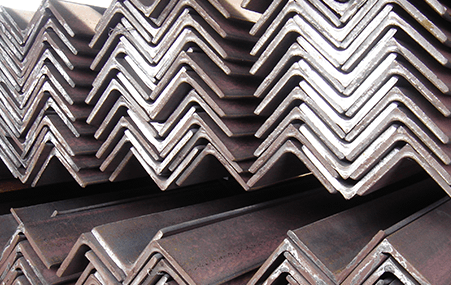 We have a huge selection of angle iron in different sizes. Whether it's a little or a lot, the pros at Eagle National Steel will fill your order so you can get going on your project. Look through our online inventory to find the size that you need. Angle iron is a particularly useful shape. Its L-shaped surface means that it has impressive strength both vertically and horizontally. As such, it's suitable for all kinds of jobs. If you're building a chair or bed frame or installing industrial shelving, smaller angle iron can come in handy and provide the strength your project needs. Larger angle iron can be used for performing structural repairs or constructing buildings, among a variety of other projects. There are many ways to use angle iron, and Eagle National Steel is glad to provide it! Why Choose Eagle National Steel for Your Structural Steel Needs? At Eagle National Steel, we believe that you are the most important part of our business. We give you the time and attention you deserve, whether you're from a company constructing a huge project halfway across the country or a Texas local wanting to fix up an old shed. Our number one goal is to make sure you find exactly what you need. We have the attitude and sensibilities of a small business at Eagle National Steel, and many of our customers have worked with us for years. However, we also benefit from our considerable size. Our massive warehouse is filled with thousands of line items, and we've been involved with big projects like the Dallas Zoo, the American Airlines Center, and the Dallas Cowboys Stadium! We ship all across the country, and we normally offer delivery within a 300-mile radius. 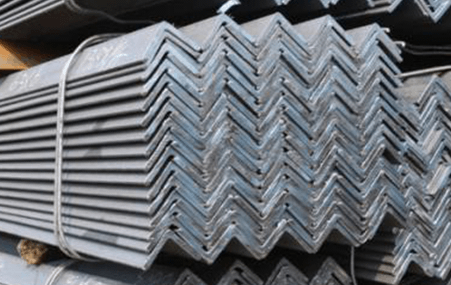 Whether it's steel by the truckload or just a couple pieces of angle iron, you'll find just what you need at Eagle National Steel. If you have any questions, give us a call or stop by. We look forward to talking with you and helping you figure out the best way to go about your next project.